The bond between male lions within a coalition is unbreakable. Often brothers, these great cats fight many a battle together protecting their territory and females. 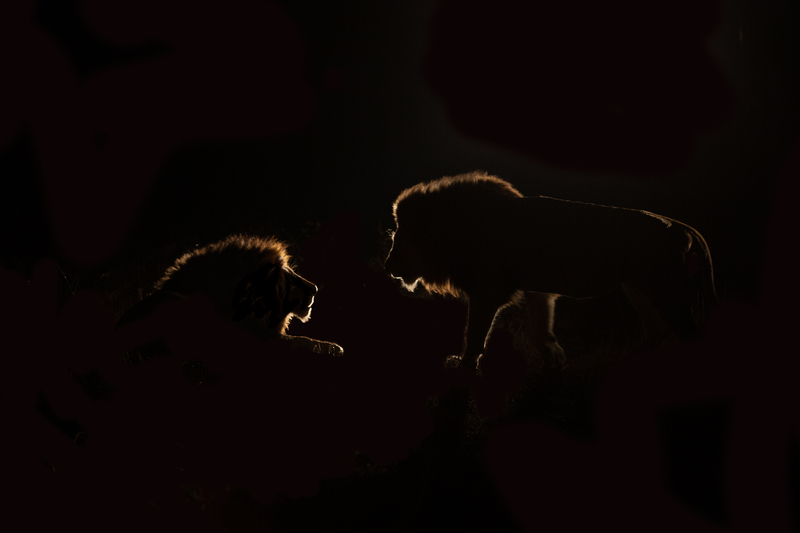 When I saw the backlit golden silhouette of these two lions approaching one another, I knew I had an opportunity to capture something striking.